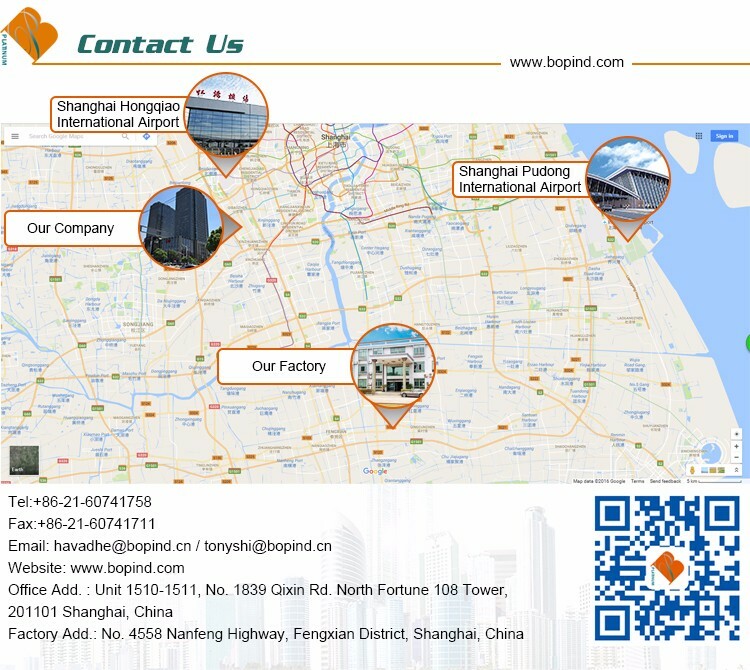 We know different building code in various regions. And we could make sure our building system complying with different building standards globally. 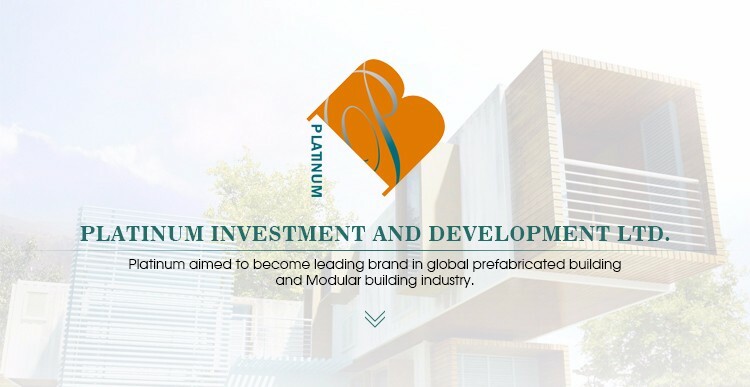 Platinum provide one-stop service from design, manufacture, construction, supply and technique consultation for hotel, house, apartment warehouse, plant, school and stores incorporated with kitchen, bathroom, plumbing, electric and interior fittings to clients at home and abroad. 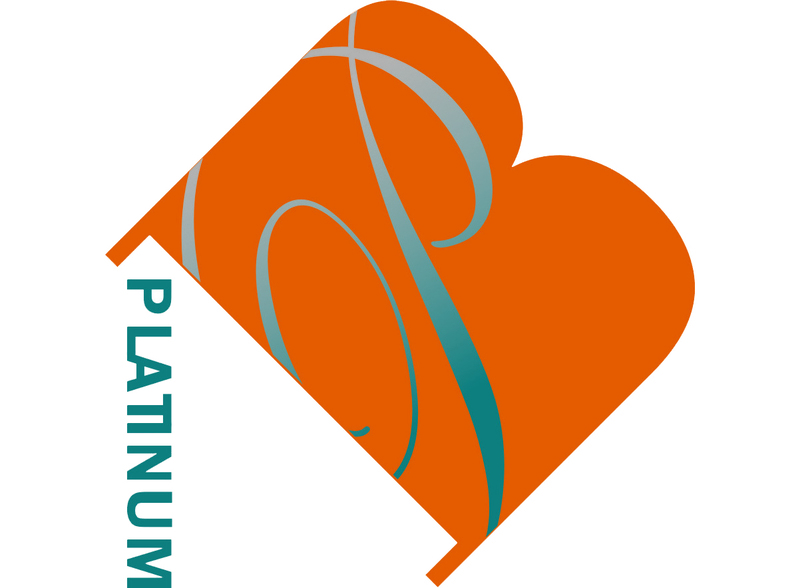 Platinum has various building types and styles for clients’ selection, integrating the design of services such as plumbing, heating and electricity. 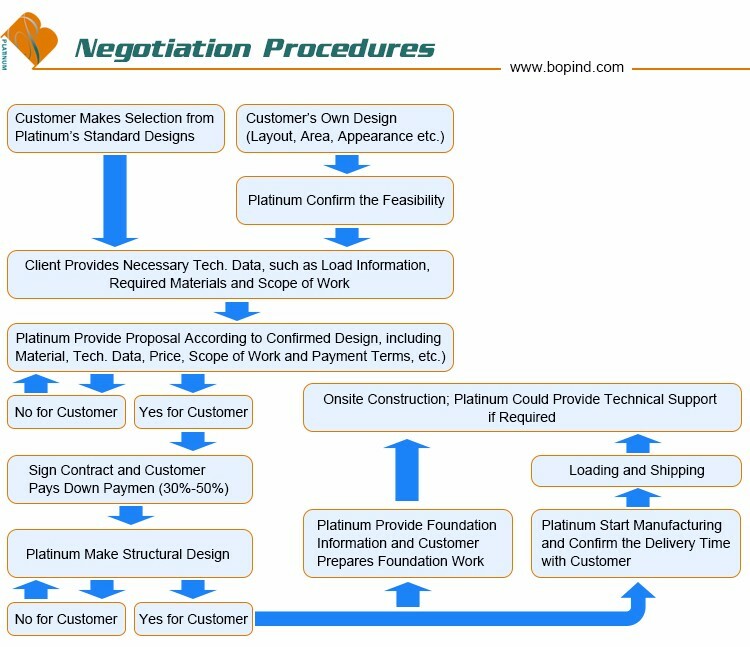 Platinum also accept customized design to suit clients’ various requirements. 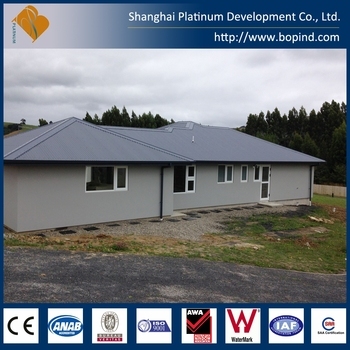 Platinum Prefab Building System has several obvious advantages: light weight, wide span, strong wind and earthquake resistance, providing excellent thermal insulation and noise reduction performance. Platinum Prefab System is a highly cost saving, environment friendly, sustainable green building system. It saves at least 50% labor cost during the whole construction process, which bring significant saving of total cost for customers where either high labor cost or lacking skilled workers. Pre-engineered building system has made almost half work done in factory, resulting in the whole onsite construction process 40%-60% quicker than traditional building methods with delivery time fully controllable and predictable. 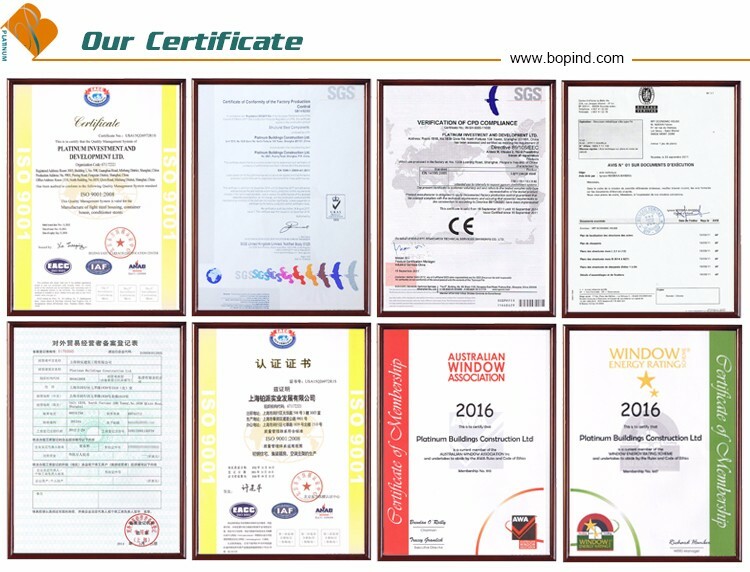 5.We hold CE Certificate complying with EN1090 code for our steel members to meet European countries’requirements.AWA/CE certificate for aluminum doors and windows could meet Australian and New Zealand Clients’ requirements.IBC/IRC standard materials are also available from us. Of course, GB code is one of our most familiar standards. Platinum utilize light steel framing as the structural that meet international building codes. 3. Roof: Steel roof ( like colorbond style ), shingle, or fibercement tile. 4. 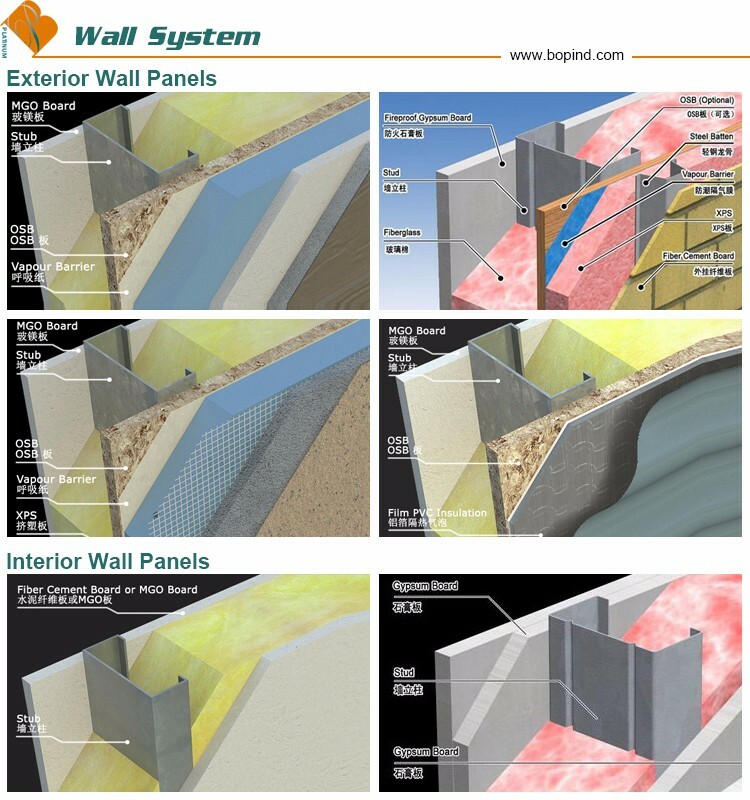 Exterior wall: steel wall sheet, bamboo cladding, stone, WPC, Stucco etc. 6. Flooring: Wood, Bamboo, WPC, Laminated floor, Engineered wood floor, CeremicTile, Carpet etc. 7. 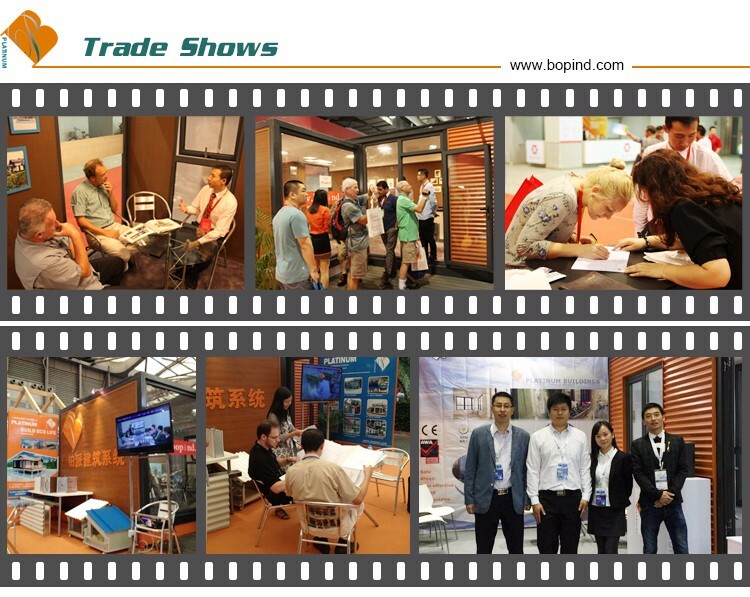 Doors: Wood, Steel, Wood & Steel, Glass, MDF, etc. 9. Plumbing and electricity available. Q: How long can your light gauge steel house last? A: Platinum Modular is a complete LGS frame house solution provider. We can guarantee the integrity of the steel structure of the prefab house for more than 50 years. The amendment of the LGS frame is for free within 5-8 years. The warranty for sub-materials such as Colorbond steel roofing, LED lighting is about 1-2 years. Q: How to assemble the light gauge steel house? A: We can provide our customers the detailed installation and shop drawings for the prefab homes. In addition, if needed, we can send our project manager to your job site and supervise the installation of the prefab house. Q: How long does the LGS house assemble from design to end? A: For example:200m2 prefab house. The time for design is 12 days. 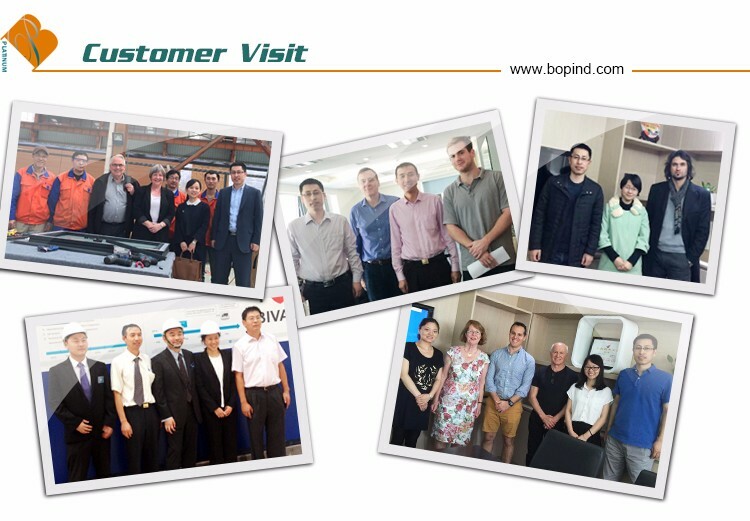 We need to confirm the design within 2 days. The factory completes them within 6 days. 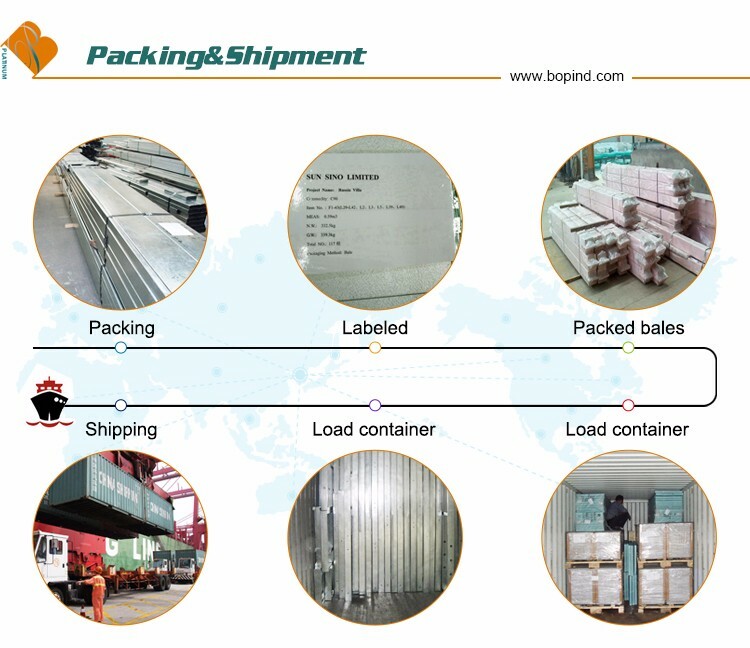 The shipment time is about 15-20 days. If you have six skilled workers, it can be completed within 15 days. Q: What are the advantages of prefab modular house? A: Quick and easy to install; Durable and age resistant; Aesthetic appearance No pollution with dry construction; increasing efficiency, precision, productivity and affordability; decreasing time and costs ; reducing construction waste. Q: What are the difference between prefabricated house and modular house? A: Modular houses or off-site construction buildings that we call are made into 3d modules and shipped with 90% interior fitting completed. As for prefab houses, we prefabricate the house into 2D wall panels, floor panels and roof panels. The aluminum alloy windows are pre-installed into LGS frame wall panels. Q: What are the difference between prefabricated steel frame House and wooden frame House? A: Prefabricated steel frame house is much safer than wooden frame house in disasters such as earthquake. Steel frame house can be pre-fabricated in factory and are quick to install. The sequence of design makes it possible to construct both internal and external walls simultaneously, which speeds up construction. Protection against termites. 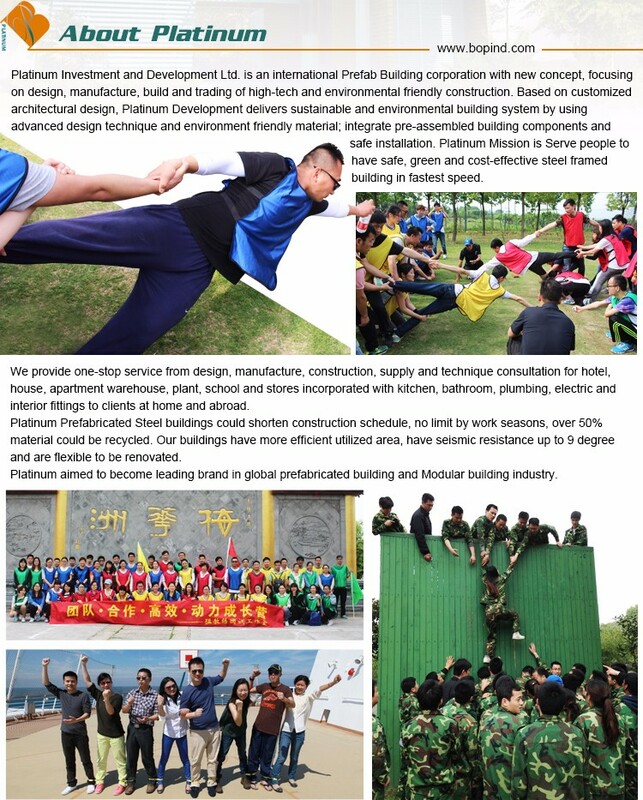 Shanghai Platinum Development Co., Ltd.